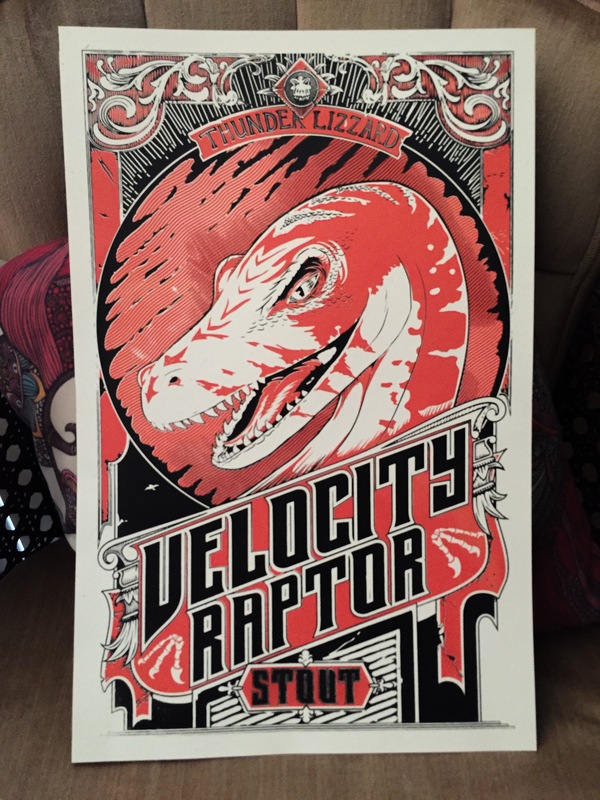 Get ready kids ’cause Velocity Raptor is coming for your guts. My new 11×17, two-color poster is on Etsy, so get out your credit cards and grab the first poster from the upcoming trilogy for only $14.99. There are 50 handmade prints and will soon start prepping the next batch so be sure to look out for Pterodact Ale and Tricera Hops.